A significant portion of radiation oncology in the United States is practiced in moderately sized clinics with a single individual responsible for the institution's medical physics activities. Medical physicists in “solo practice” face challenges and conditions very different from those faced by physicists working in larger groups. The solo practice medical physicist is likely to be responsible for a broad range of duties, and for both implementing and overseeing a system of quality control and audits to ensure patient safety. Additionally, effective peer review is difficult and expensive to implement in the solo practice environment. 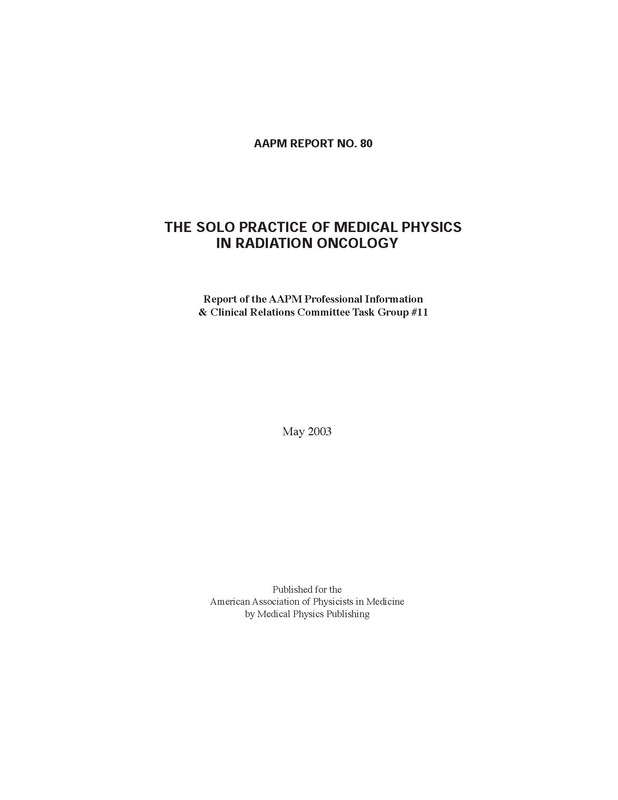 This report summarizes the recommendations of the Professional Information & Clinical Relations Committee’s Task Group on The Solo Practice of Medical Physics in Radiation Oncology. The charge of this Task Group was to propose stan- dards and recommendations for the solo practice of radiation oncology physics.